I have previously mentioned that one of the commercial formats that Doctor Who had been released on is LaserDisc (LD). This was effectively a double sided 12″ CD – quite an apt description as the technology is very similar; although LD is analogue, not digital. This format, which was around when BBC Video began the retailing of their archive in 1983, clung onto life until around 2002, when DVD killed it off completely. That’s pretty good going for a niche format. Some years ago, I managed to collect a few LaserDiscs as I had a fascination with different format types and my (then) hobby was to collect vintage TV titles on VHS and convert them to digital video. I had a small interest in LaserDisc as there were a couple of very rare titles which appeared to be more available on LD than VHS. A romance with LaserDisc was on the cards. BBC Video released two Doctor Who titles on LD: Revenge of the Cybermen and the hour-long edit of The Brain of Morbius (released in 1984). 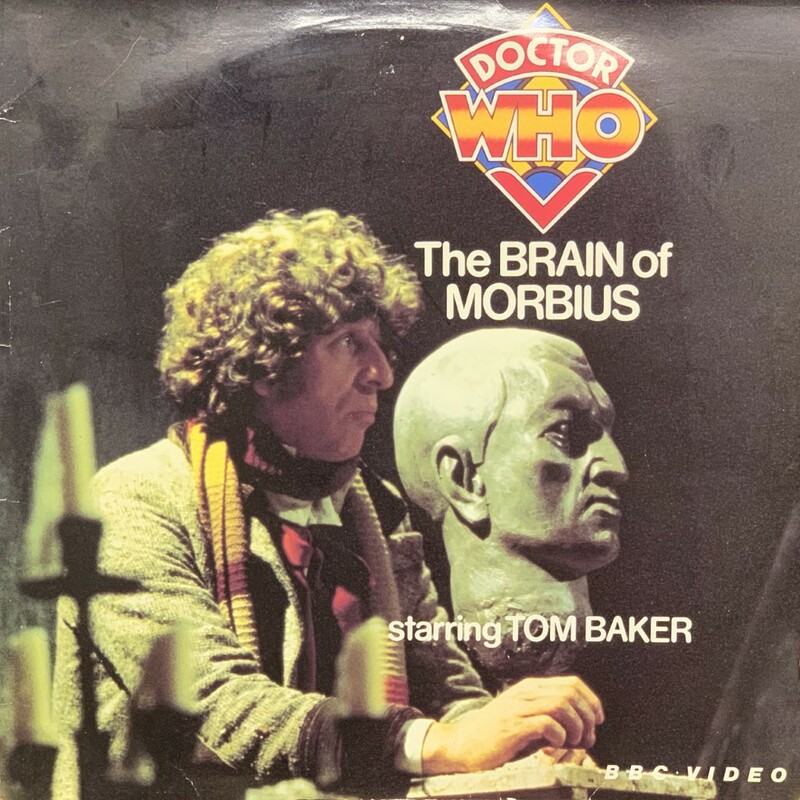 I was only able to obtain The Brain of Morbius on LD as Revenge was very pricey when I was trying to track down a copy. Unfortunately, my Morbius disc hadn’t been particularly well looked after prior to my taking possession; it’s full of scratches – some would say scuffs – and it has developed the dreaded ‘disc rot’; sections of the disc edge have let in air and a couple of small segments of the readable surface have oxidised. This fragility was a common manufacturing problem with early discs, although my copy’s obvious miss-treatment wouldn’t have helped! 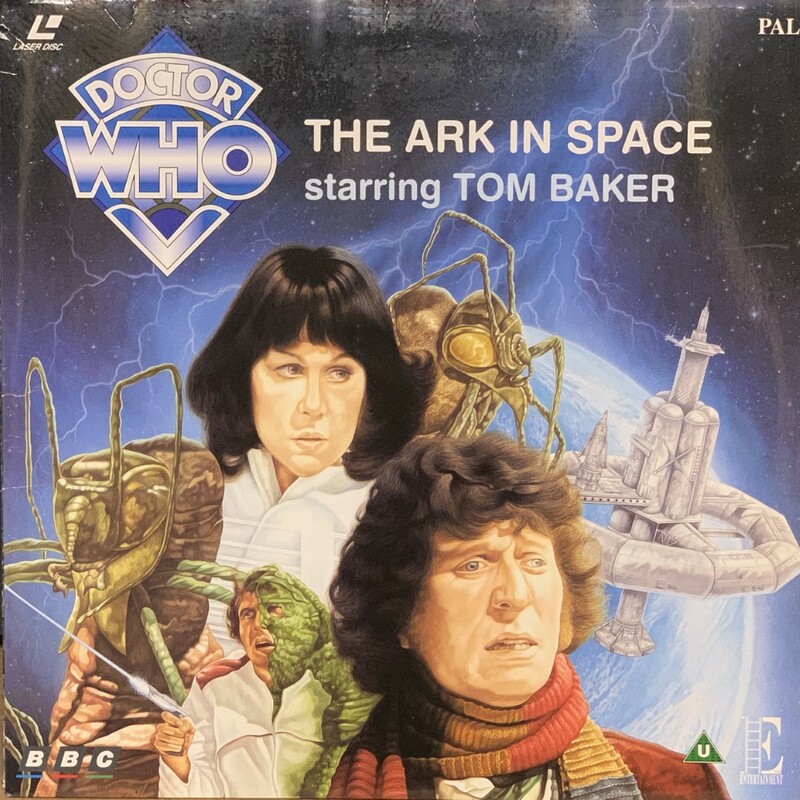 Over a decade after the BBC discs, Encore Entertainment started releasing LDs which included television titles such as Fawlty Towers, Blackadder, ITV’s 1990s Poldark, and three Doctor Who stories: Day of the Daleks, The Ark in Space (both released in 1996), and Terror of the Zygons (1998). The artwork and font for these discs does give the impression of them being tied-in with the BBC VHS tapes, especially as the BBC logo is so prominent. I do find it odd that the BBC allowed Encore to do this at the same time as their video range was being released. Mind you, all three of the Encore stories had been available on VHS by the end of the 1980s. 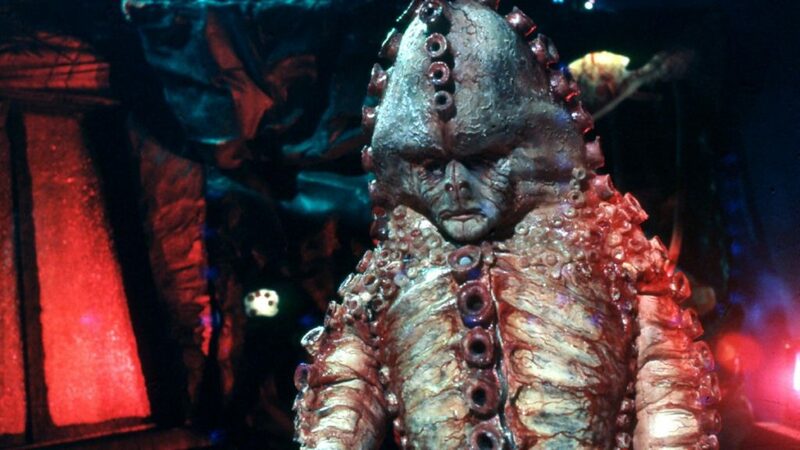 Although it must be noted that the LD issue of Terror of the Zygons was the first to have an episodic version; a year before BBC’s VHS unedited re-release. As previously stated, I never did purchase a LaserDisc player. Therefore, I have no idea of the picture quality of these discs or whether they are playable at all (although they are in better physical condition than my Morbius disc). But they are an interesting collector’s item. A few points awarded for using the correct eras’ logos; minus one or two for the liberty taking with the diamond-logo colours. There were two releases for the US market by Fox Video: Day of the Daleks (released 1992) – the first non-BBC LD release – and The Five Doctors (1994). The cover for Fox’s Day of the Daleks is practically the same as the BBC UK VHS release. This makes me wonder if it was planned to be released on LD in the UK but abandoned when BBC Video stopped producing them. I hope someone can fill that blank for me. There was one last release – Doctor Who: The Movie (1997), but this was only in Hong Kong by Universal. I can’t begin to think why it was only available within this region alone. 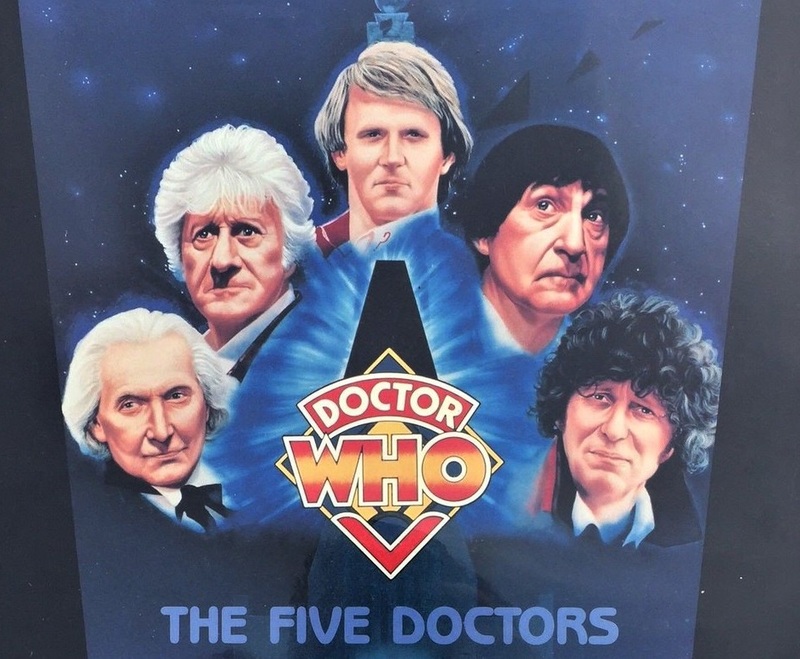 Being an Eighth Doctor fan, I’d be very tempted should I ever see this release appear on that well-known auction site. Why Didn’t LaserDisc Catch On? That BBC Video initially released titles on LaserDisc was understandable as there were a few different formats to patronise. Soon, VHS became the victorious format, but LD stayed around in the background for over two decades. Households preferred video tape as it was way too useful for time-shifting broadcast TV, which was the whole point of having a VCR in the first place! VHS and Betamax were around long before Hollywood started supporting the format. Recordable LDs did appear, but very high costs meant that this was destined for commercial use only. Probably the last time I heard about LD in the media was the BBC’s Domesday Project in 1986. The better picture quality of LD was a little wasted on our 21″ Decca or Ferguson CRT televisions. It wasn’t until the advent of large widescreen TVs, especially plasma/LCD flat screens, that LaserDisc would have come into its own, but by that time DVD had turned up. From a UK point of view, once the home video market was established, LD just didn’t receive the support that it needed to flourish; after all, the BBC abandoned it quite quickly. LaserDisc was most popular, although still niche, in the US and (especially) Japan. I can remember the advertising for the Phillips LaserDisc player in the early 1980s, but from that point on – and not being part of the high-end audio/visual set – as far as I was concerned, LD had died along with Betamax. For a vintage UK TV programme collector like me, many titles were not made available here. 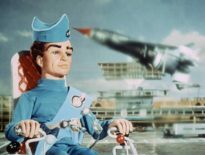 Bizarrely, several Gerry Anderson and ITC titles were only released in Japan! Nevertheless, even in the UK, LaserDisc did find a market for the home cinema enthusiast, which explains its longevity. 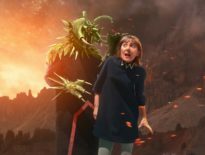 It’s the trickle of Doctor Who releases that interest me the most (obviously), but one wonders why there were so few of them. Encore Entertainment’s main releases were films and they dabbled a bit with BBC releases. But checking on the useful LaserDisc Database website shows that there were other planned BBC titles that were subsequently cancelled: Wallace and Gromit (released in the US by Fox Video) and most notably Red Dwarf sets by series, up to Series 6.